It has been a football extravaganza over the past couple of weeks. I for one have been glued to the tv – watching the drama unfold over the crazy Christmas schedule and the upsets of the FA Cup – there have been many highs and lows for all concerned – the teams, the managers and of course us, the fans. The gunners came out the gate running (in August), and caught many teams by surprise. 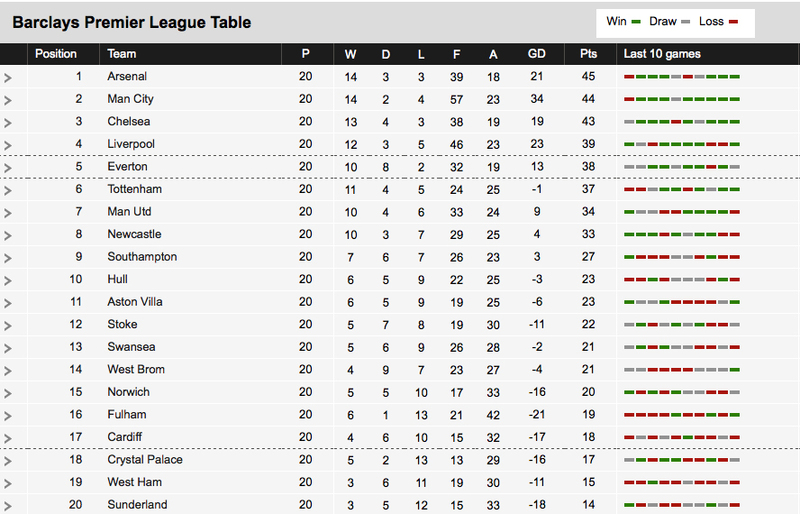 They remain at the top of the table, but how long will they maintain this position? Theo Walcott is out for six months and their list of injuries continues to grow. The next few weeks will be critical to their title challenge and their fortunes may depend on their dealings in the Transfer window and how they perform during the crunch games against the bigger teams. I believe they will finish in the top four, but they will not be champions this season. It is always so hard to predict the early games of any season – new players getting used to their surroundings, some not quite match fit, while some teams are more prepared than others for the start of the season. And given the unpredictable form of these two sides last year who knows what will happen. Rogers, on the other hand, after suffering the worst start to a campaign last season (with 5 straight loses) has a point to prove. Liverpool’s fiercest rivals Everton finished above them in the table last season, a complete no-no if you are a Liverpool supporter, so this year Rogers has to get it right. It appears he is already heading in the right direction with an impressive opening day victory against Stoke last weekend…but that was Stoke, there will be much sterner challenges to come in the months ahead. Two sides with a point to prove should make for an interesting game. Aston Vila and Manchester City square up to one another, Monday February 4th, 2013 on what could be a season defining game. For Manchester City anything less that a win would see them slip even further behind League leaders and their fiercest rivals, Manchester Utd, which now stands at a massive fifteen points. With only eleven games left of the 2012/13-season time is running out for last season’s champions to make up the deficit. 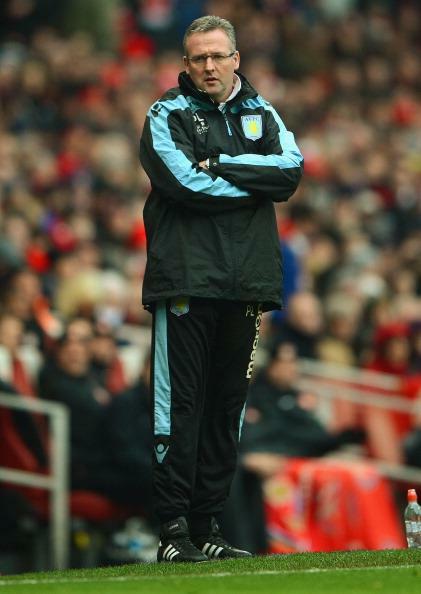 As for Aston Villa, things are looking very bleak. This week the club announced a loss of $26m in the year ending 31st May 2012 and head into the game with City deep within the relegation zone. Lose or draw against Manchester City means they will remain in the bottom three, and given the state of Villas current form it is safe to say the next few months are going to be pretty uncomfortable for Villa’s manager, players and fans. 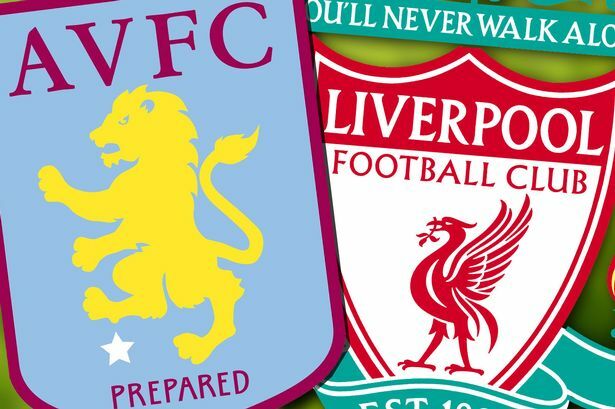 Should they get go down Villa will be one of the biggest clubs to be relegated from the Premier League, since it started in 1992. The financial fall out alone with be catastrophic.